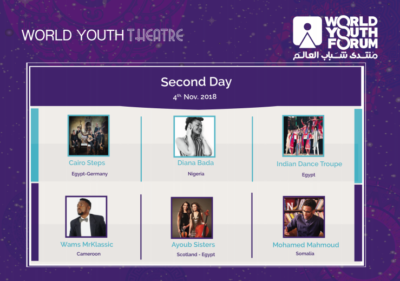 CAIRO – 4 November 2018: Twelve people from ten different countries from across the globe are scheduled to perform on the World Youth Forum’s (WYF) theatre on Sunday. 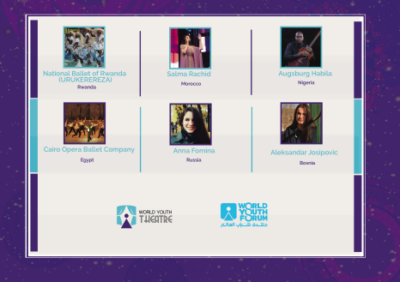 Among those performing today are: Egyptian German band Cairo Steps, Nigerian singer Diana Bada, the Indian Dance Troupe, Cameroonian singer Wams MrKlassic, Egyptian Scottish band Ayoub Sisters, Somalian artist Mohamed Mahmoud, the National Ballet of Rwanda (URUKEREREZA), famed Moroccan singer Salma Rachid, the Cairo Opera Ballet Company and the Russian artist Anna Fomina will all perform on WYF theatre. On Monday, nine performances by individuals from seven countries will take place; following the performances, certificates will be handed out. 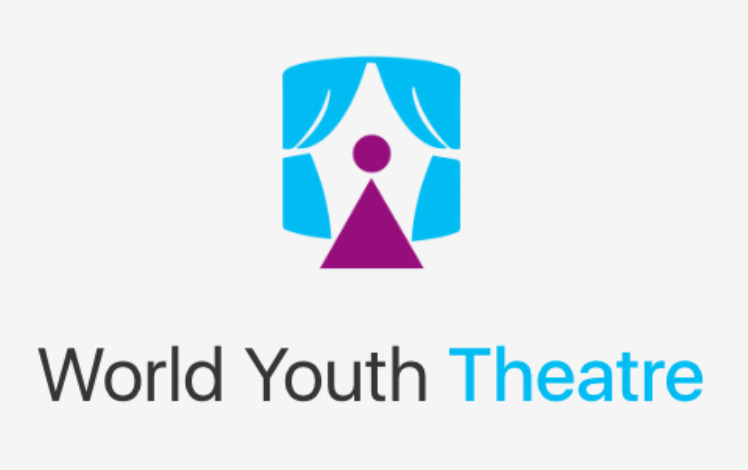 President Abdel Fatah al-Sisi inaugurated Friday the theatre of the second edition of the World Youth Forum; acts are scheduled to go on for three days, from Friday to Sunday, inclusive. The theatre, which was created to be a stage for talented individuals from around the world, will see performances ranging from signing, to playing on musical instruments to dancing. On the first day—Friday—the theatre witnessed eight performances from four different countries: Egypt, the United States of America, the United Kingdom, and South Korea. The very first performance was by African-American Zuriel Oduwole; the youngest filmmaker in the world. Egyptian singer Rula Zaki, Egyptian Drummer Hazem Esmat, and Balquies all performed, while the new Egyptian play, “El Za’aer” (The Visitor), was shown. One-legged tap dancer Evan Ruggiero, Korean comedian Wonho Chung and English guitarist Dave Sharp also took to the stage on Friday.